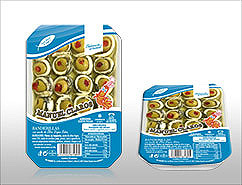 Skewered pickled foods with Anchovies and Olives "Sea Delight" through its brand "Manuel Claros" offers these magnificent banderillas anchovies and red pepper stuffed olives, which are the source of haute cuisine in miniature... Small dishes that are enjoyed cocktail hour. 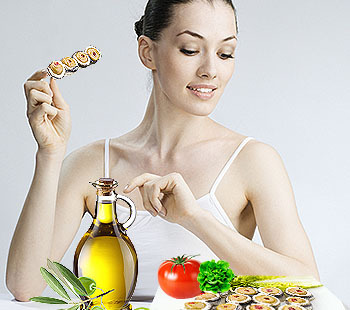 The mixture of flavors that provide its ingredients gives a special taste that is very nice. 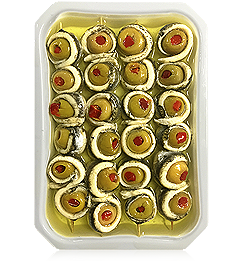 Marinated anchovies, stuffed olives, red pepper, vinegar, olive oil, seeds oil and salt. 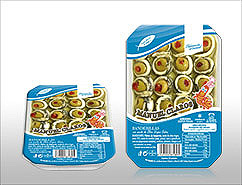 Keep refrigerated between 0º C and 8º C. serve at room temperature. Calories: 906,86 kJ – 216,6 kcal. This product is free of genetically modified ingredients. This product is subject to control foreign bodies and antianisakis treatment. This product is subject to control traceability. Allergens: GLUTEN-FREE. It contains fish and soy derivatives. 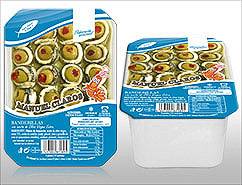 PP packaging film with window. Measures: 232 x152 x85 mm.